Here are some things your organization might experience if it decides to do nothing about workplace violence safety and training. It should go without saying that the worst thing that can happen in an instance of workplace violence is that someone dies, is murdered, or is severely injured. In 2014, over 400 people died in the United States as a result of workplace violence, and thousands of others were injured. The U.S. Department of Labor estimates that workplace violence costs 500,000 employees 1.2 million workdays every year and that $55 million in wages is lost annually. 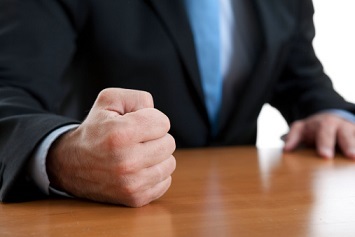 When your employees experience workplace violence, they might become traumatized and need to call off work for a little while, or they may even have to be hospitalized. In some cases, they might even need to consult a therapist or counselor long term. If your business has customers present when a violent incident takes place, you might have to close its doors for a few days as your establishment is being cleaned up and repaired, as you replenish damaged merchandise or products, and while the public and your employees try to recuperate and heal. Overall, your employees will not be as productive because they are trying to recuperate and process the violent incident and will have to miss days of work. And your business may end up losing a few days or even weeks of revenue if it must close its doors—not to mention, your organization’s insurance costs might skyrocket depending on the severity of the violent situation and how many people were injured or need to seek medical treatment or counseling afterward. And your organization could even be sued or issued a citation due to extreme negligence, which would instigate long-lasting fiscal and legal ramifications for your business. 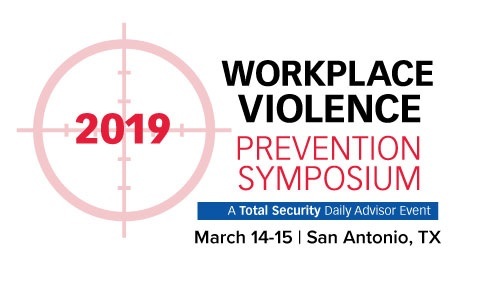 To learn more about workplace violence prevention, join us at the 2019 Workplace Violence Prevention Symposium, March 14-15 in San Antonio, Texas. Unfortunately, your competitors will not slow down because your business experienced a horrific violent incident. They might pay their respects, but they will continue to run their businesses as usual. So, while your organization is still healing and determining how to start over again, your competitors will still be creating new things and offering their products and services. In fact, they might even become more successful for a short period of time, as your customers will turn to them for needed goods and services while your business is closed or trying to prove that it’s safe for customers and employees again. You might even have a few customers or vendors that avoid working with your organization altogether after a violent incident (especially if they were firsthand bystanders of it) because they want to mitigate their own risks of being subjected to violence in the future and fear for their own safety. Overall, implementing workplace violence prevention measures and training is much less costly for your business or organization than doing nothing at all.